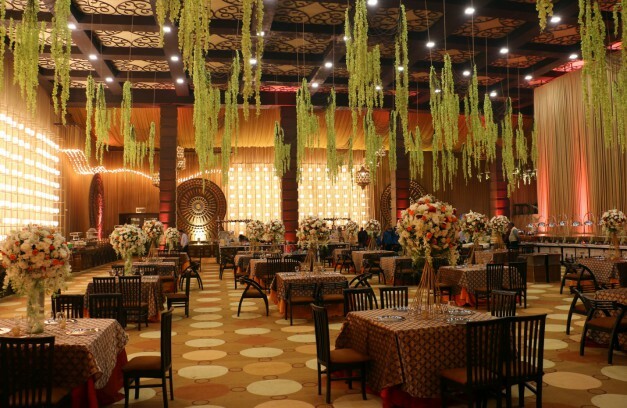 The lavishness of Indian weddings is increasing with the passing time. With every coming year a series of new trends get into the market to entice people with its uniqueness as well as brilliance. Every time a new kind of dÃ©cor or some particular detail steals the show at a wedding that gets popularized and become the newest trend of the year. Officially, this yearâ€™s wedding season is yet to begin, but the new decor ideas are already on a roll with a few innovative and interesting concepts that are getting attention. Here are some of the elegant new trends which will be seen in their full glory in the year 2017! 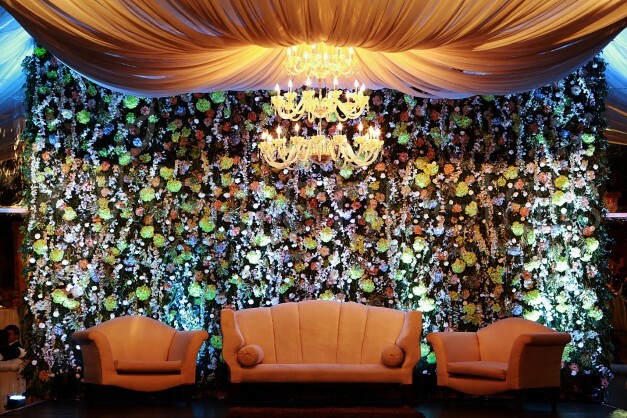 The Indian wedding dÃ©cor is now seen to be very much inspired by the west. The detailings, props, floral setups are now being added in an innovative way that reflect the modernized version of the Indian weddings. Now, everyone is aware that botanicals are very much in and they are pretty easy and smart both physically as well as figuratively. The decorators are using botanical prints on the dÃ©cor and added a whole wall of green to keep it minimal and effortless. 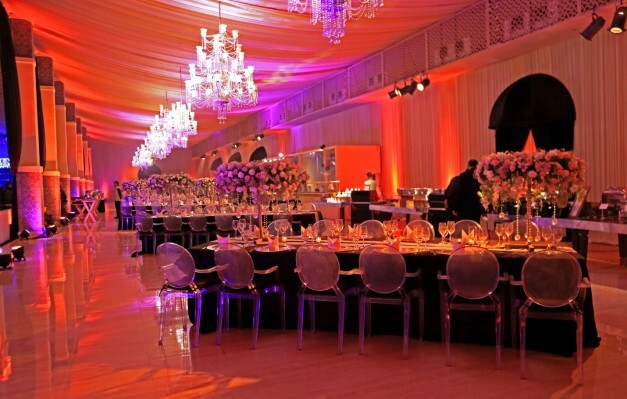 The tables are an integral part of a wedding, which are adorned with various beautiful floral arrangements. Now you will see more of them with hanging floral overhead. This kind of setting keeps the table clear of obstructive vases, and facilitates conversation amongst the guests while the overhead vines add a dreamy vibe. 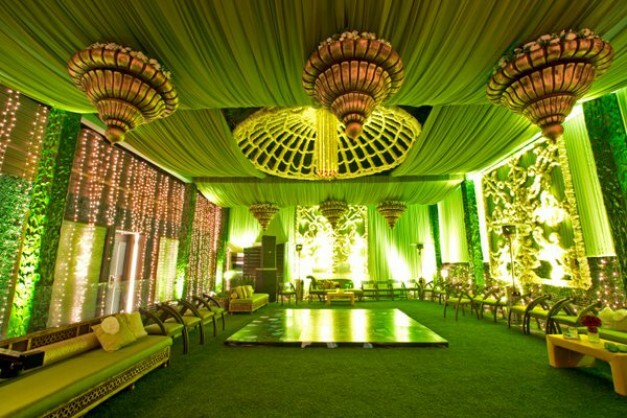 No doubt, Indian weddings are a riot of bright colors, but now people are very much interested in a minimalist approach. The all white dÃ©cor is gaining preference nowadays as this color let the colors of the outfit pop that results in creating visually beautiful photographs. Photographs play a vital role in the weddings, thus they have to be perfect. There are many elements that help to have flawless pictures, but the main hero is the lighting. 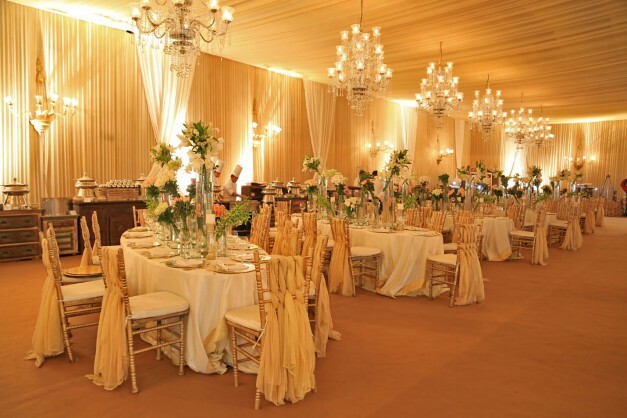 The yellow lighting at the weddings create a perfect ambience for photography that results in some beautiful pictures. If you are planning your wedding this year, then these trends are worth incorporating in your wedding arrangement.